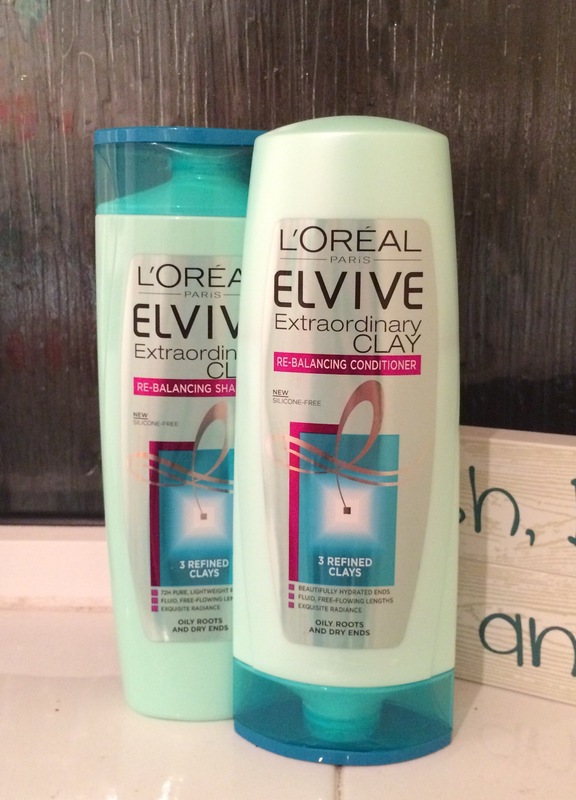 New 3 clay L’Oreal shampoo and condition review. Hey all I introduce you all the the 3 clay shampoo and conditioner from L’Oreal. What interested me in this product is that on the adverts it stated it can help people who have oily roots and dry ends. For some time now I have experienced really oily hair which is horrible and embaressing for me, because no amount of dry shampoo will make it last so I have to wash my hair every other day, I refuse to wash it everyday as this can strip away essential oils, however I cannot leave my hair any longer than 2 days. I also have extremely dry ends, no matter how much conditioner or oil I put on the ends of my hair my ends will always feel rough, dry and brittle. Normally this may be easy for people to manage with other products but unfortunately for me I also have a very irritated scalp which has been a battle for the past couple years. My scalp becomes extremely itchy,covered in lumps, dry skin and red blotches, and no matter what shampoo I try I find my scalp never improves and after 2 days I will be scratching and washing my hair to relieve my irritated/sensitive skin. “Introducing our breakthrough innovation from Elvive, Extraordinary Clay. For the first time we have combined 3 refined clays into a hair care range to break the vicious cycle of oily roots & dry ends. Clays have been celebrated in beauty rituals for thousands of years due to their unrivalled ability to cleanse, purify and energise. In terms of hair care, Clays combat the excessive oil production at the roots but also any dehydration throughout the lengths and ends. I have only been using this for about a week so about 6 total washes. And I am very happy with the results so far. Now was not aware of the mask that is also available with these products which I may just purchase to see if that helps me anymore. So far the ends of my hair are starting to feel softer, look smoother and have more volume. However the roots of my hair are still greasy on second day hair, when the product states it should last for 72 hours. However I am dealing with this because the shampoo has actually helped my scalp (THANKYOU). I am no longer scratching my scalp all the time, and my skin is beginning to settle. Obviously my scalp condition is still there but these products have significantly reduced the irritation, which is all I could ask for. Overall I am satisfied with this product I am definitely going to purchase the mask to see if that helps my hair anymore using the combination of the 3. I definitely recommend these products to all of you out there with the same hair type as me, it has worked wonders for me so far and in such a short space of time. Comment below your thoughts, I would love to see what people think, or if you have any tips if your hair is the same as mine. Please don’t forget to follow me. That sounds like an awesome product! We have dry ends as well. Definitely going to try this. I’m nearly out of my mask, I might pick up the mask for this collection!